Picture of the Commando Memorial, Spean Bridge. The bronze monument was crafted by Scott Sutherland and placed here in 1952. The plinth records the Commando's motto United We Conquer and a plaque In Memory of the Officers and men of the Commandos who died in the Second World War 1939 - 1945. This Country was their Training Ground. 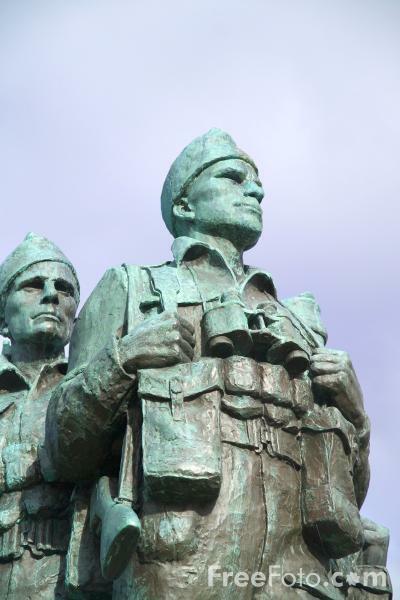 VIEW: More images from the category Commando Memorial, Spean Bridge or around the same time .